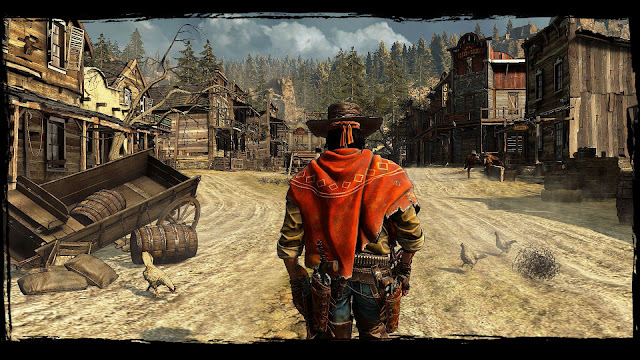 Call of juarez which was formerly known as “The Lawman” is an open world adventure game developed by techland.This game can also be categorised under first person shooter to.First edition of the series was released on 2006 and later this was easily ported to XBOX 360 IN 2007.First edition of the game was available for both PC and XBOX.Call of Juarez was the first videogame to use microsoft’s Directx 10.Second and third edition of the game were released on 2009 and 2011.Names of the second and third editions are Call of juarez :Bound in blood and Call of juarez:The cartel. Latest edition ie the 4 edition of the game is named as Call of Juarez:Gunslinger.The game was released May 22, 2013.The game was announced on “Penny Arcade Expo” held on 2012.Like the earlier version the game was set up in the old west and the game features three main modes namely “Story,Arcade and Duel”.The story is about the bounty hunter Silas Greaves. The first Call of Juarez game i played was Call of Juarez. I really enjoyed playing it .It gave some good enjoyable hours to me .While i was surfing in the net i came to know the release of the third edition (Call of Juarez : The cartel).I pre ordered for the game.But when i started playing i was totally disappointed Call of Juarez :The Cartel was the worst game in the series.I was so disappointed on buying it.Within few months i heard the news of the next game in the series.Since i was disappointed with the last game i thought Call of Juarez:Gunslinger will never be better than The Cartel.Ubisoft’s silent promotion of the game was another factor which strengthened my thoughts.But everything changed after playing Call of Juarez :Gunslinger. it would probably be the best game in the series. Call of Juarez :Gunslinger is a good playable game available in a reasonable price of 14$.Apart from the earlier version’s in gunslinger developers focussed on stylish gameplay than realistic one.When it comes to story gunslinger share almost nothing with the predecessors.The only connection is a collectible one. The narrator tells the story of a grizzled bounty hunter who is relating the stories from his past.Character is constantly narrating the story while fighting through different levels.World around Silas changes when he starts to remember more.Gunslinger is the name and one would love to ask about its gunplay.Unlike the Bound in blood,Gunslinger had good gunplay compared to the earlier version’s.Gunslinger enables the sortment of guns,pistols and shotguns.Player can choose targeting mode for dual pistols,and also enables you to independently control each weapon.When it comes to the aiming part gunslinger has got fast and accurate aiming. Call of Juarez is the only game series which had gone through many ups and down.According to me Gunslinger puts them back into the right direction.Apart from the irritating damage indicator,Sound,duel mode gunslinger is still an enjoyable game Cartel made you to hung up the cap and gunslinger gives a new reason for saddling it .